To Kill a Mockingbird author Harper Lee has denied she approved the writing of a memoir about her life in Alabama by former neighbor Marja Mills. “Rest assured, as long as I am alive any book purporting to be with my cooperation is a falsehood,” Harper Lee, 88, wrote in a letter. Its circulation coincided with the publication of the book, by former Chicago Tribune reporter Marja Mills. Marja Mills responded by saying her book had the “blessing” of Harper Lee and her sister. The writer moved next door to Harper Lee and Alice Lee’s Monroeville home in 2004, remaining there for 18 months. 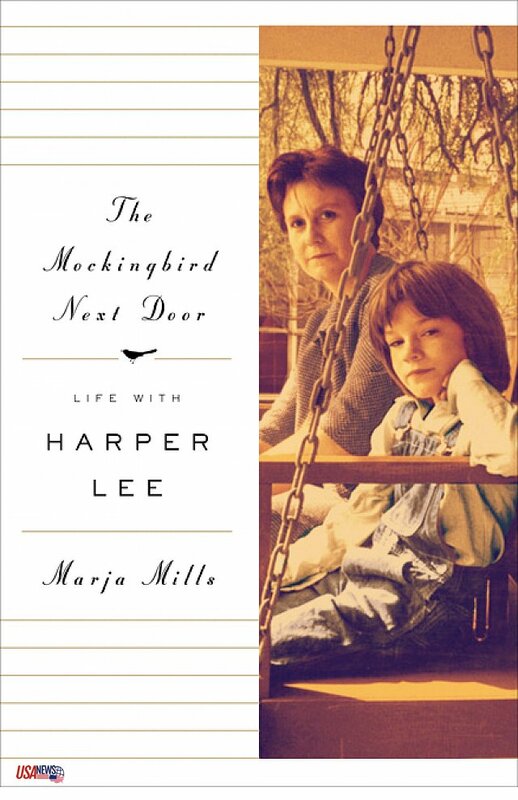 “Nelle Harper Lee and Alice F. Lee were aware I was writing this book,” she went on. Harper Lee first distanced herself from The Mockingbird Next Door: Life with Harper Lee when Penguin announced its publication in 2011. At the time, the Pulitzer Prize-winning author said she had not “willingly participated” or “authorized” [sic] the book and that “any claims otherwise [were] false”. Harper Lee reiterated her position earlier this week, claiming Marja Mills had befriended her sister and that she had been “hurt, angry and saddened, but not surprised” to discover her “true mission” had been “another book about Harper Lee”. In her rebuttal, Marja Mills referred to a letter she received from Alice Lee in 2011 saying her sister’s initial denial had been written by others for her to sign. “Poor Nelle Harper can’t see and can’t hear and will sign anything put before her by anyone in whom she has confidence,” Alice Lee’s letter went on. Harper Lee’s latest letter says her sister “would have been 100 years old at the time” she made that statement. In her book, Marja Mills writes that she became part of the Lee sisters’ social circle and that she had won their trust. On Tuesday, Penguin Press said it was “proud” to publish the memoir, which it said had been “a labor [sic] of love”.